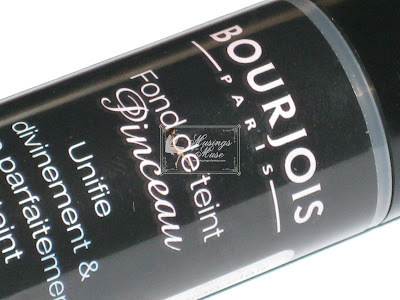 I’m somewhat obsessed with Bourjois Paris foundations so when I seen the new Bourjois Paris Brush Foundation aka Bourjois Paris Fond de Teint Pinceau I knew I must haves it immediately. Lucky for the Muse her kindly friend from across the pond, Lauren, volunteered her time to nab me one! 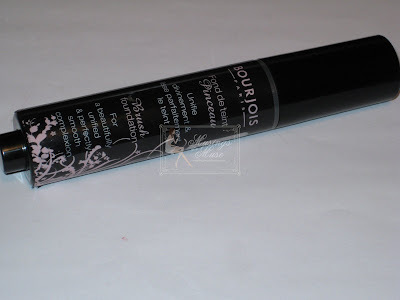 In the vein of Too Faced Magic Wand Illuminating Foundation, Bourjois Paris Brush Foundation is pretty much the same concept with a cheaper price tag! At around $15 USD or so the price can’t be beat for the quality of the product however I do like the Too Faced version a tiny bit more for one main reason which I’ll explain shortly. The foundation comes in a large click style pen with a brush on one end and a depressor on the other. 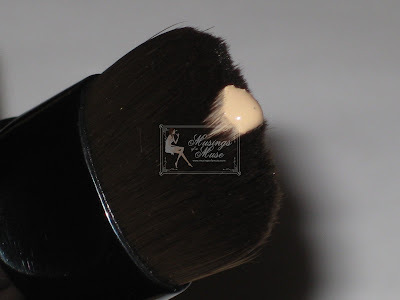 Click a few times and foundation will flow freely into the brush allowing you to brush on your foundation and blend into place. I find the brush is useless (same with the Too Faced one!) 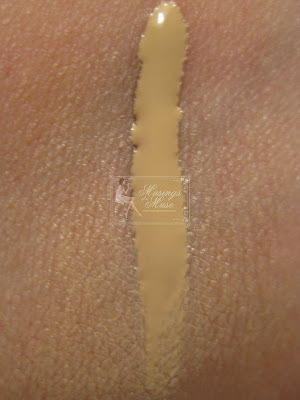 for blending so I normally just swipe where I need foundation and blend with clean fingers. 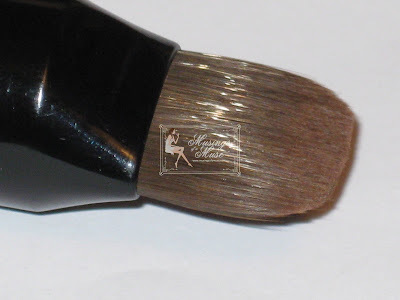 The brush isn’t the greatest quality in the world and a tad bit scratchy however after it’s wet with the foundation the scratchiness does go away and it feels alot smoother and softer on the skin! Now considering you probably tote powder around with you but not liquid foundation this is a nice little item to have as it’s quite portable without any mess! If you need a bit of touch up during the day whip out and go to town! However, since the brush doesn’t do a fab job of blending you may not feel it’s completely portable friendly! The formula is a good deal more watery in consistency when compared to the Too Faced version however this didn’t bother me to much as it blends beautifully well and gives light coverage . 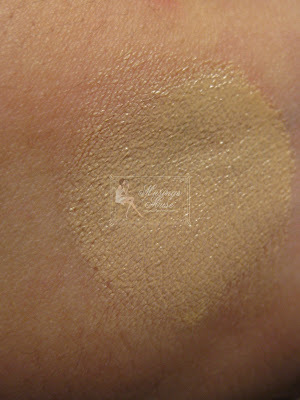 I don’t particularly recommend this if you have alot to cover up as coverage is light to medium. I personally don’t use a whole lot of foundation on my face anyway so one click is enough for me to smooth around and create a good working canvas for my other makeup. Now the foundation has all but one fault with it. It covers nicely and gives a good fresh look to any dullness that’s residing on my face. I have the lightest color selection which is 31 Beige and this suits me well as it lightens and brightens up my face beautifully. Now these are the strong points of the product however after application of the foundation I get a powder-like dry down which mattifies my face a bit too much. Right now my face is already on overkill dryness and this manages to make my face feel tight. Also it pretty much shouts foundation! As soon as I apply and blend it casts a certain glow to my face that indeed says I’m “made up”. I’m chalking this effect up to the fact that my skin is so dry right now. The bad news is I probably can’t use this at the moment however I do look forward to retrying it in the Summer when my skin is oily. Perhaps then I’ll be quite happy with it. I did feel that the Too Faced version was far more richer, moisturizing, and thicker plus my skin seemed to soak all that goodness up and create a flawless and natural look. I also happened to enjoy how very fresh smelling this is! The foundation has a rather nice fresh scent which actually lingers around for a while after application. Quite nice as I kinda like my cosmetics to smell good. All in all I think it’s not bad at all for the price and will be a great light foundation for Summer-wear however my skin no likey at the moment. I’m not Muse Approving it for purchase since I’m unsure how it’ll work in the warmer weather so maybe expect another look at this when the Summer sets in! On a side note Bourjois Paris Brush Foundation is not yet available in the US and I can’t honestly say when it’ll be available if ever. 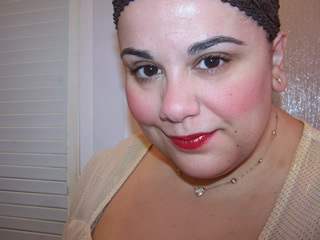 If you’d like to try it I do recommend visiting MUA or your makeup forum of choice and asking a friendly Brit for a CP. 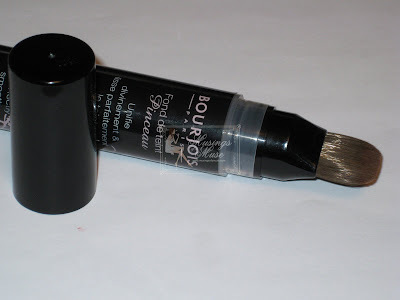 Anyone tried Bourjois Brush Foundation yet? I’ve pretty much had the same thoughts as you about this foundation. 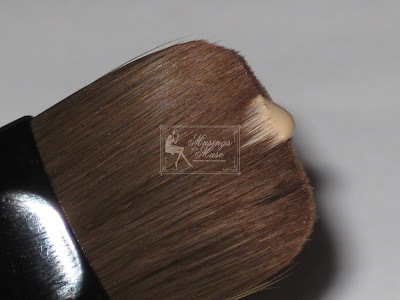 The brush isn’t of a high enough quality to use other than to just get the product onto your face then you need to use fingers to blend, and it’s also too drying and not really long-lasting. It doesn’t cope well with a further application later in the day. I bought this as an “Oh no, foundation has run out and too long till payday to be buying Chanel” and think it’ll just stay in the drawer in case if emergency. same here sharon sadly it’s still in my drawer unused sigh! silvia not sure I understand your question?